If you have children, Easter egg hunts are likely an integral part of your Easter celebration. This year, parents looking for something a little different should visit Hendricks County to experience one or more of these unique Easter egg hunts. I run a little website for parents in Hendricks County -- and for parents thinking about moving to Hendricks County -- called They&apos;re Our Kids. I like to think of it as a helpful resource, so to that end, I recently put together a list of Easter egg hunts in Hendricks County. While working on that project, four Easter egg hunts in particular jumped out at me: Danville Public Library I don&apos;t normally think of public libraries when I think of Easter egg hunts, but on April 12, the Danville Public Library is hosting a unique hunt where eggs are hidden within the library stacks! The Easter Bunny will also be there for photos. The wee ones (ages 2-5) start hunting at 10 a.m. while the bigger kids (ages 6-9) begin at 10:30 a.m. The hunt is free, but registration is required, so make sure you click here to get your offspring signed up. Underwater Easter Egg Hunt Yes, you read that correctly: underwater. Hey, the Easter Bunny doesn&apos;t always hide Easter eggs in grass, you know. 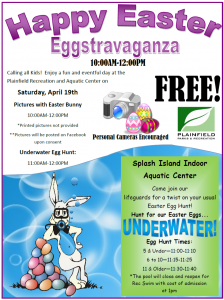 The fun begins at 10 a.m. April 19 at the Splash Island Indoor Aquatic Center, 651 Vestal Road, when kids can have their picture taken with the Easter Bunny, enjoy bounce houses and work on crafts. 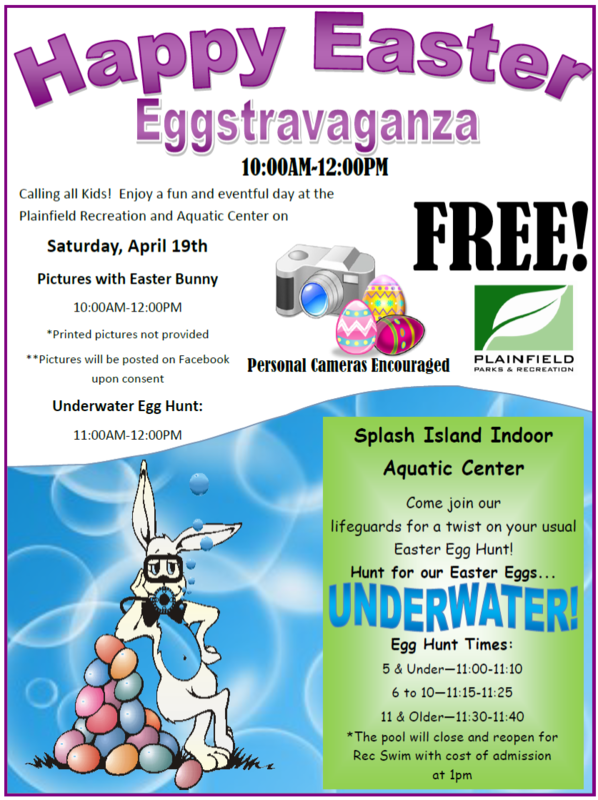 Then at 11 a.m., the kids go diving for Easter eggs! The free event lasts until noon. Click here for more information. Egg-stravaganza at McCloud Nature Park Not in the mood to swim on April 19? No problem. McCloud Nature Park, located just outside of North Salem has a unique, fun and educational Easter egg hunt for your kiddos. From 11 a.m. to 4 p.m., kids can search along two age-based trails for hidden eggs containing clues that help them answer questions on a worksheet. Find the eggs, read the clues, leave the eggs, and when the worksheet is completed, the kids can bring it back to the Nature Center for a prize! Crafts will also be available for the kids to enjoy while they&apos;re there. As with the vast majority of activities hosted by Hendricks County Parks & Recreation, this event is free. It does not require registration. Easter Egg Hunt and Rubber Ducky Race at Ellis Park The Kiwanis Club of Danville hosts the Easter egg hunt April 19 at Ellis Park, beginning with pictures with the Easter Bunny at 1:30 p.m. The hunt begins at 2 p.m. But two things make this Easter egg hunt unique. 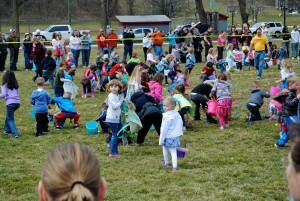 The first is the rubber ducky race immediately following the egg hunt. Purchase a rubber ducky for $1 through Danville Parks & Recreation before April 19. 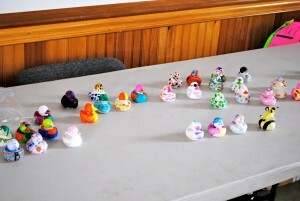 Then decorate the ducky and bring it with you to the event. Enter it in the race down the creek, and if your kiddo&apos;s ducky is the fastest or the best decorated, he or she will win a prize! (Insider tip: click here to learn how to get your rubber ducky early because they always sell out.) Ducks are a buck, but the race itself is free. The second thing that makes this hunt unique is that the Kiwanis Club, for the first time ever, is designating a separate area in the park for an Easter egg hunt for children with special needs. If you have a special needs child who is normally left out of Easter egg hunts because he or she can&apos;t keep up with all the other kids, bring that kiddo to Danville for some Easter fun! This is a free event requiring no registration. Happy Easter!